Owls are perfect for Fall and Halloween! They can be cute and they can be spooky, which makes them the perfect after-school or Halloween party snack! 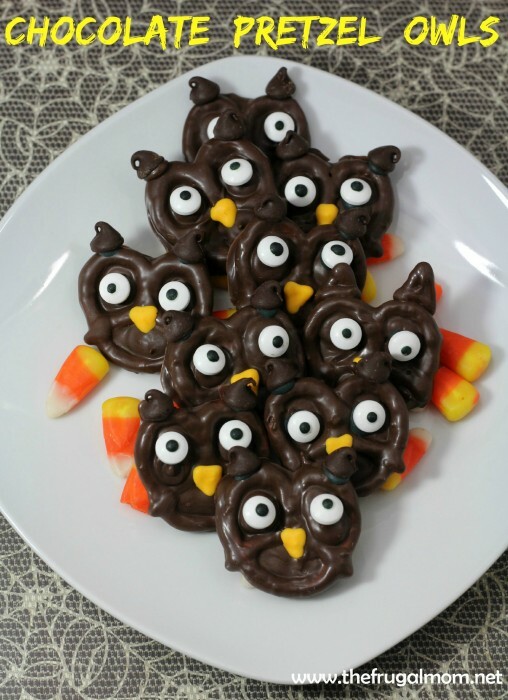 With a few simple ingredients, you can turn pretzels into owls that everyone will love! -Add several drops of golden yellow gel food coloring in the large bowl of icing. Stir well to mix the color. -Spoon the icing into a pastry bag with a small tip. -Using a double boiler place the chocolate wafers in the top pot. Watch carefully as the chocolate wafers begin to melt. -When the chocolate wafers have melted, dip the pretzels into it. Immediately place them on the wax paper lined cookie sheet to set. 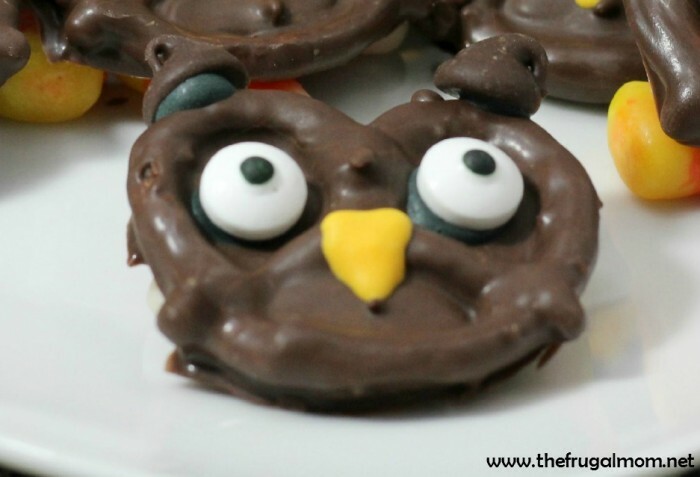 -While the chocolate covered pretzel is still hot, add the mini chocolate chips for the ears and the candy eyes for the owl eyes. -Allow the chocolate covered pretzel to cool. -Using the golden yellow icing, draw a triangle for the beak, then fill it in with more golden yellow icing. Those are super cute, and festive for the Fall season. What a fun and cute idea! Thank you for sharing! !